This is a dense area of rivers and canals, providing navigation from the North of Europe down to the Mediterranean sea. If you have cruised from the west via Paris on the Seine or from the south on the Rhone and Saône you now have access to navigate to the River Rhine into Germany or continue north on the Moselle to Holland. 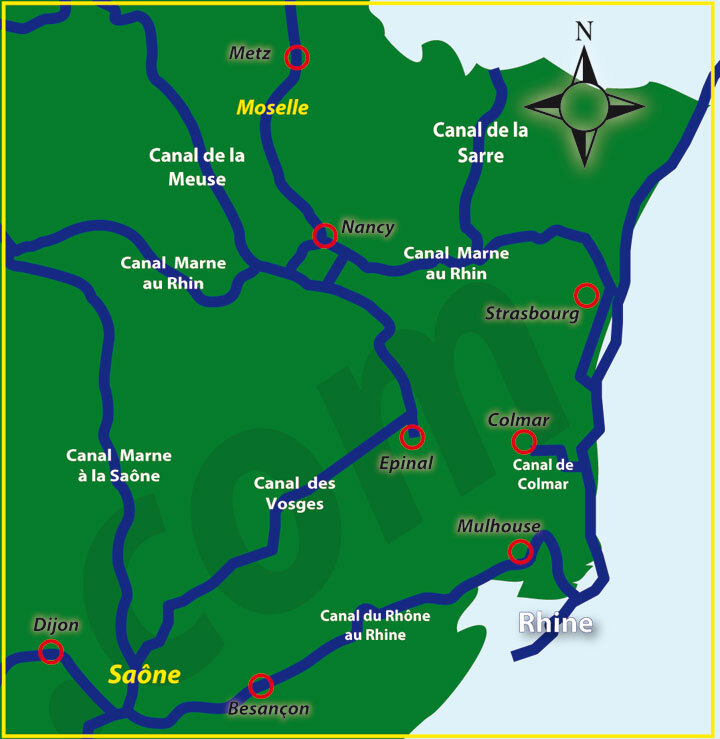 If you have cruised upstream on the Rhine, you can cross into France and head south to the Med or west towards Calais. Do not forget that the Rhine requires special navigation requirements or to accompanied by a qualified pilot. Other cruise maps of France.